The 「Gyeongju-bu Gyeolsong Iban/慶州府決訟立案(the Gyeongju-bu Lawsuit Document)」, currently in custody of the Gyeongju Son House, is a document regarding a lawsuit which was initiated in 1560(l5th year of King Myeongjong's reign) over a nobi slave. In this document, offenses and defenses that were exchanged between the plaintiff and the defendant, contents of the documentary evidence(書證) and the accounts of the witnesses, and all the legal debates that ensued, are documented in chronological order. This document also contains the final judgement of tile lawsuit. In that regard this lawsuit document is in perfect shape, and most importantly we can examine tile legal mind of the people at the time, who were determined to have their legal rights protected through a lawsuit, by examining this document. 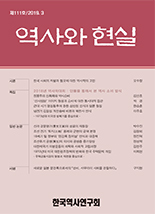 The lawsuit process of the Joseon dynasty period showed a minimized intervention on the pan of the authorities, and also the enlarged role of the parties directly involved. And because of such characteristics, tile involved parties were in need of some professional help from legal practitioners. And for those who were in need of such help, the Waeji-bu/外知部 entities were the ones to consult. At the request of the clients, Waeji-bu entities listened to the nature of the complaints and created written accusations for the client, or provided the clients with advices regarding the actual lawsuit process and related techniques. When they were hired as legal representatives of the clients, they appeared at the local office and initiated a lawsuit for them, and whenever they won the suit, they were compensated by tile clients as well. Yet consigning lawsuits to a representative(雇用代訟) was banned in August 1478(9th year of King Seongiong's reign), and Waeji-bu practices were punished by household relocation to border areas(全家徒邊). As a result, Waeji-bu entities did not appear officially in lawsuits that were launched since the 16th century, yet through several traces we can see that they remained in service.